Take one diesel engine developed by Chinese company SAIC, combine with a healthy dose of Brummy design, mix with a completely new chassis and garnish with an iconic badge. The result? A new MG6 diesel. 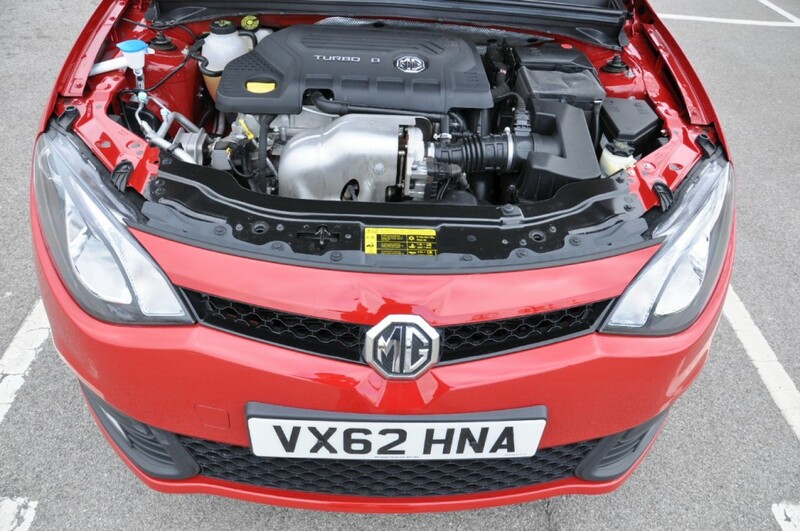 Yes, at last, the new MG6 can attempt to target the fleet market now that the range includes a diesel powerplant. It’s fair to say you’ve probably not seen many new MG6s on the roads yet, but it’s a landmark model for MG, having risen from the ashes. What did I make of it, after its curtain-twitching arrival on the back of a truck? Manufacturers’ press packs and websites often spout off reams of fancy design terminology to describe every inch of their new models, some firms even delving into philosophy, harmony with nature and a synergy with animals and the human body. The MG6 diesel press pack does no such thing. What we do know is that the MG6’s design seeks to continue the brand’s sporty focus – and that the MG6 was designed by a bloke called Tony, at the MG European Design Centre in Birmingham. 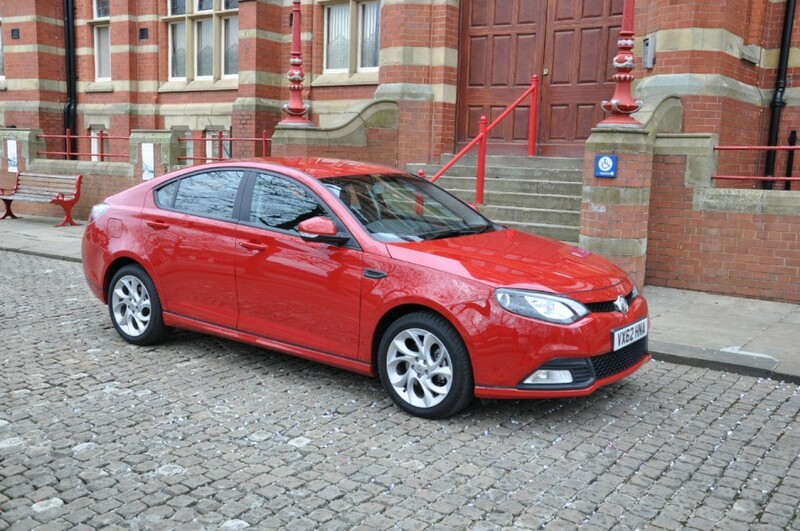 I can’t deny it – the MG6 does look sporty, especially in Regal Red and with its turbine-esque alloy wheels. Although some may say it looks a bit cheerful, I quite like the design of the MG6’s face, with its purposeful stance, athletic lines and large lower grille. The side profile is decent enough, too, looking nicely proportioned, squat and purposeful. I’m not completely struck on the rear, but it does blend in well with the rest of the car. Perhaps the frosted light clusters make it look a little cheap and the rear window looks too small from dead-on. I wouldn’t advise you to poke around the car’s exterior too closely, as I was slightly taken aback by the poor panel gaps and fit and finish in places. But generally speaking, the new MG6 ‘fastback’ GT model is an attractive-enough family car, definitely not classy enough to punch outside its weight category, but offering an interesting alternative to MG’s main rivals the Skoda Rapid and Octavia, and also the Ford Focus segment the MG6 also straddles. Considering this is the first new MG for aeons, they could have taken a risk and produced something radical in design. But MG loyalists are fairly conservative and the all-important fleet market also favours mainstream design by and large, so I think MG have done the right thing by playing it safe. A decent effort by Tony and the boys, then. Stepping out of a Mazda6 press car into an MG6 was never going to be easy for the Chino-British car, so I climbed in with an open mind, not quite knowing what to expect. The first thing I was hit with was a positive impression of space. The MG6’s front cockpit certainly feels commodious. The next thing that hit me was the fact that the quality of the interior surfaces and controls was a bit lacking. Aside from the truly awful handbrake which felt like it was going to snap off in my hand, all the other controls and materials did feel sturdy and strong, but of a low-grade quality. Still, it means the MG6 will stand up to the test of time if you have a family. Oddly, the driver’s seat felt way too firm for the first half of my week with the new MG6 diesel GT and no matter what I did, I couldn’t get comfortable. But then suddenly, it felt a whole lot nicer for the remainder of the week – so overall, I have to say I quite liked the driving position. The seats are manually adjustable, by the way, and the wing mirrors are folded with one’s hands, too. The key’s a bit of a funny one, as you insert it into the dashboard and then depress the clutch and push the key inwards in order to start the car. I got used to it quickly, but the key itself seemed flimsy. The multifunction steering wheel felt nice enough, the electronic air conditioning functioned as you would expect it to, this SE model came with cruise control and to my pleasant surprise it was also fitted with colour sat nav and parking sensors – so with a starting price of just over £18,000, the MG6 GT SE comes with a decent load of amenities. I do believe the central storage compartment was cooled, too, which was a great little touch. The sound system wasn’t breath-taking but wasn’t a let-down either, the speed warning on the sat nav was useful and so were the rain-sensing windscreen wipers. The MG6 also comes with MP3 and Aux connections, for the iPod generation. Head, shoulder and legroom in the back were also more than satisfactory, according to my occasional back-seat passengers, and the large 498-litres boot swallowed our weekly shopping admirably. 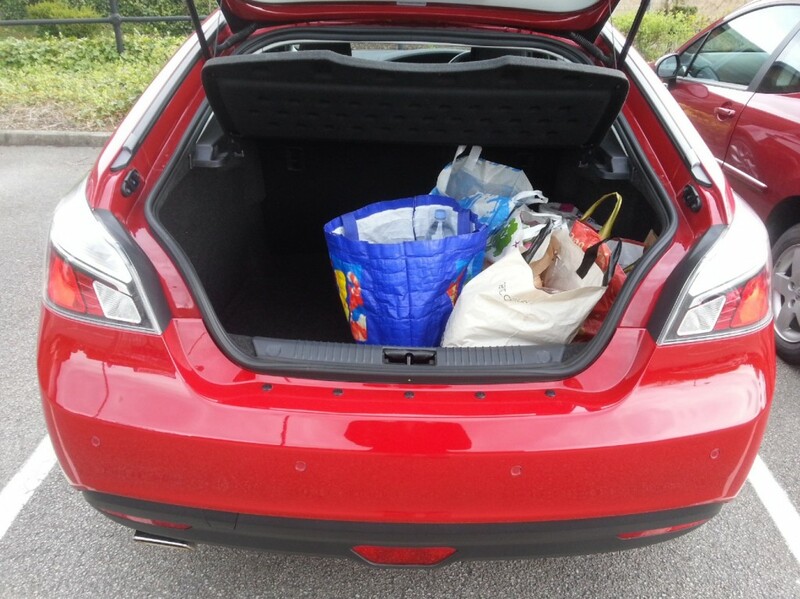 For added practicality, the rear seats fold down, as you can see from my photos, giving you 1,379 litres of space. The pronounced hatchback boot lip might hinder load-in, though. 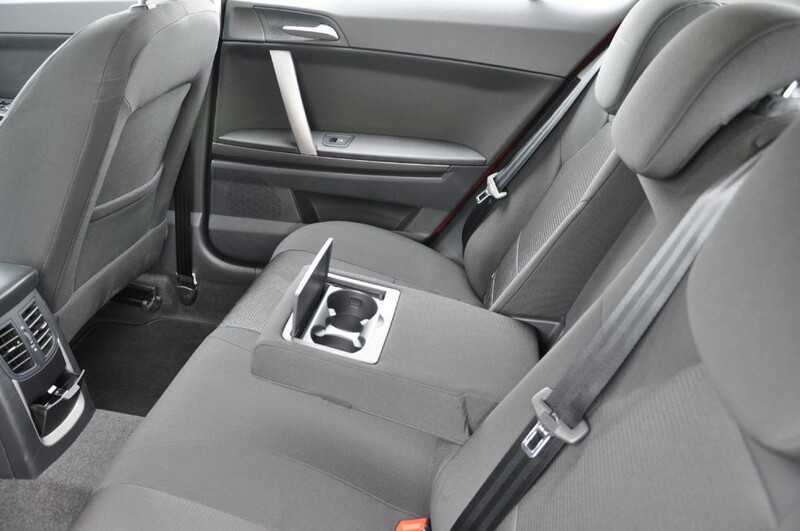 Overall, then, the interior isn’t made from classy materials but is well specified and feels solid enough, with generous space for front and rear occupants and their luggage. For a start, the diesel engine was particularly quiet most of the time, at all speeds, which impressed me. It’s a common rail turbo diesel engine unique to SAIC and MG uses a clever stop-start system, which they claim gives it a 5% advantage when it comes to fuel economy. During my week with the car, the stop-start system seemed to work when it felt like it, but its actual operation was smooth and non-intrusive. What’s more, power is only sent to on-board electrical systems when required, further enhancing the engine’s efficiency. It’s an intercooled engine developed specifically for the MG6 and is partnered by a variable-rate turbocharger for on-the-pulse power. 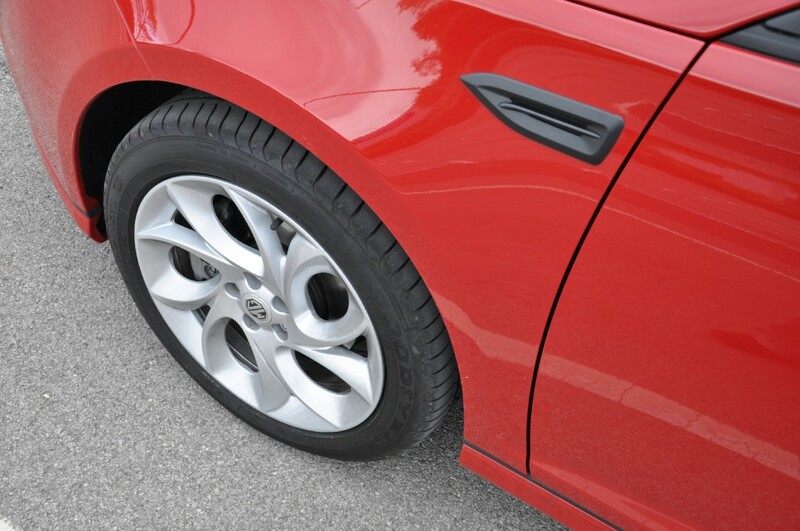 The E-HPAS power steering system is meant to make the steering lighter around town and firm it up on the motorway, but I found that although the steering was generally responsive at all speeds, it was actually on the heavy side when doing slow-speed manoeuvres. Rear visibility wasn’t the best I’ve experienced, but the MG6’s relatively compact dimensions made it easy to thread through small towns, villages and tight spaces. The 148bhp 1.9-litre diesel engine did indeed perform with a gutsy serving of torque and felt fairly powerful from low revs right up through the middle of the range. I could discern an almost sporty note from the exhaust, too, which was no bad thing. Performance figures of 8.9 seconds to 60mph and a top speed of 120mph (electronically limited) are pretty good on paper. The first five gear ratios are nicely configured and the sixth makes the MG6 a great motorway cruiser for rep’s, with its long/tall gearing, the car sitting at about 1,800rpm when doing 70mph. Overtaking on the motorway often seemed to necessitate dropping down a couple of gears, though, almost as if the engine was out of puff. Handling-wise, the MG6 diesel did impress me by and large and I could tell it has been developed specifically for British roads. With its not-unpleasantly-firm ride it felt sure-footed over speed bumps and through potholes, coping with uneven or loose surfaces well too. The steering felt crisp on windy B-roads and the 6-speed manual gearbox had a really nice feel to it. I’ve not driven the petrol MG6, which is lighter than this diesel model, but behind the wheel, the oil-burner didn’t feel like the heavy car that it technically is. 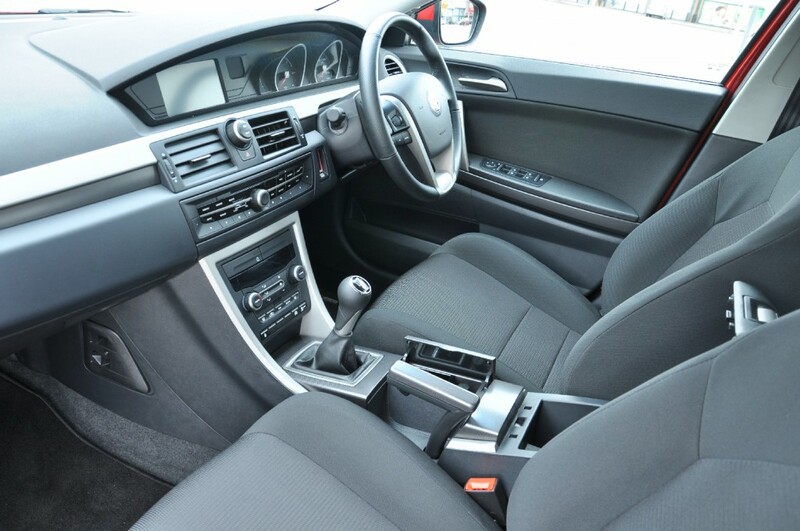 You certainly won’t fail to see if your MG6 is low on juice, as the fuel gauge is displayed by means of a very large illuminated strip, mirrored on the other side of the dash’ by an illuminated strip for the temperature gauge. The MG6 diesel’s combined fuel economy figure is published as 53.5mpg and after a week behind the wheel, I averaged 48mpg – which was fairly good, considering my mileage included a lot of around-town driving and B-road blasts. What about the MG6 diesel’s chief rivals, though? The Skoda Octavia 2.0 TDI 150PS for one has a vastly superior claimed combined fuel economy figure of 68.9mpg and its CO2 emissions at 106g/km are way greener than the MG6’s somewhat unhealthy 139g/km. The MG6 has one foot in the Ford Focus segment too, which weighs in with claimed fuel economy at 57.7mpg and CO2 emissions of 124g/km, for their 2.0 Duratorq TDCi 140PS manual model. The MG6 GT diesel in SE guise is the cheapest of the bunch, though, with an OTR price of £18,195. MG provide a 3-years/60,000 miles warranty along with roadside assistance cover as standard and a 6-years anti-corrosion warranty. How many MG6s have you seen on the road, though? And have you ever driven past an MG dealer? Precisely. 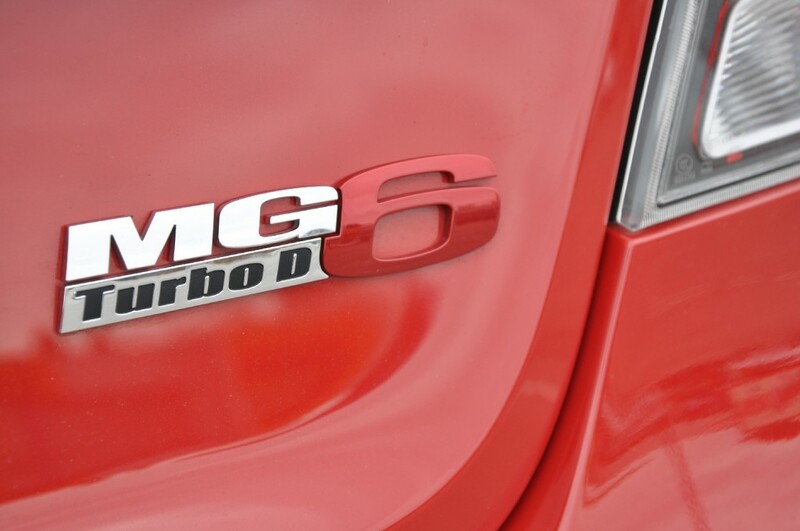 These are questions any prospective MG6 owners will need to consider carefully. 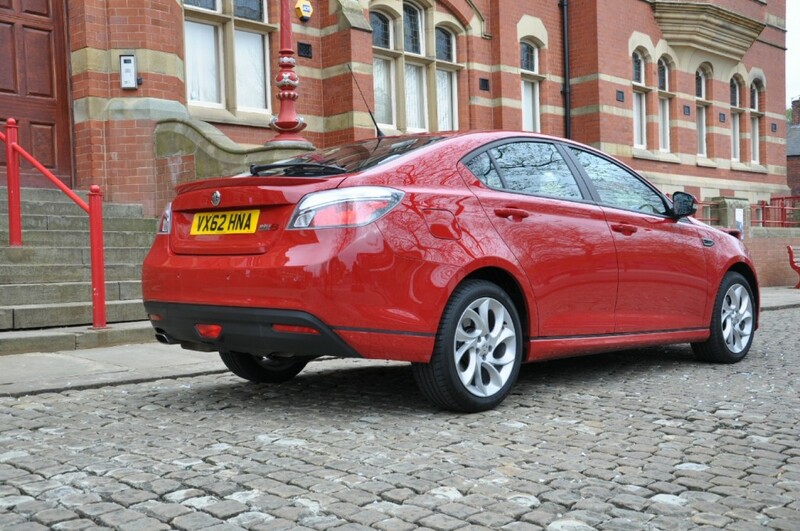 Aside from patches of poor build quality inside and out, an awful handbrake, the occasional impression of a lack of power, and slightly worse fuel economy and emissions than its rivals, the MG6 GT diesel SE model did come across as a reasonably decent car. As an overall package, its negatives are balanced out by its able handling, good levels of power in the first four gears and its practicality in terms of generous interior and boot space. It’s also a rare car, which may appeal to some. I didn’t fall in love with the MG6, but then I didn’t form an emotional bond with the excellent Skoda Octavia, either. MG6 sales have proved poor, perhaps owing to its marketing being on the thin side, the dealer network not being that expansive and rival cars’ fuel economy and emissions being better. Long-term reliability is rather unknown for the MG6 and I can’t see many company fleets buying them, but if you’re passionate about supporting Britain and just want an honest, well-equipped and cheap car for under £20k to take you from A to B, you may as well give the MG6 diesel a chance and take one for a test drive. This entry was posted in Car Reviews, MG and tagged British, car expert, Car review, car reviews, Chinese, Coaching you towards your next car, easiest way to buy your next car, economy, Ford Focus, MG6, Mr.CarCoach., MyCarCoach, new car advice, Oliver Hammond, Personal car buying expert, personal car expert, practical, road test, SAIC, Skoda Octavia by Mr.CarCoach.. Bookmark the permalink.